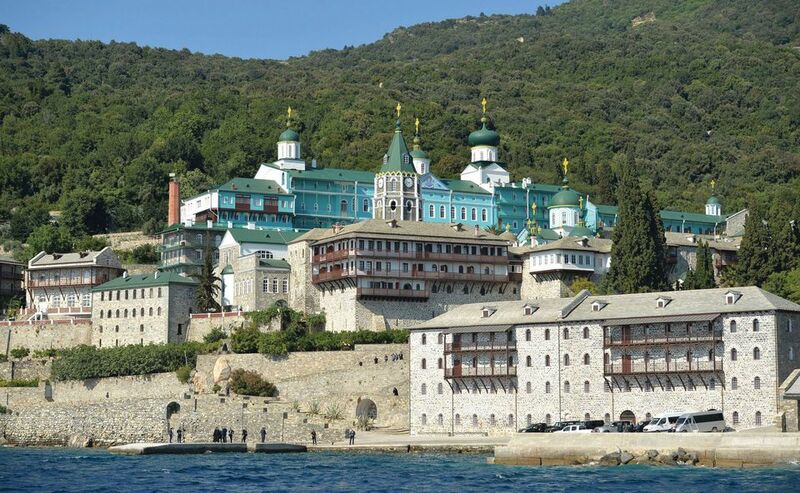 The Unesco Heritage Site Mount Athos, the Greek peninsula that is home to 20 monasteries, is under threat after Ukraine won approval for a historic split from the Russian church last month. Described as the biggest divide in Christianity for a thousand years, the Church of Ukraine was promised ecclesiastic independence—called autocephaly—by the Ecumenical Patriarchate of Constantinople, on 11 October. The Russian Orthodox Church hit back by cutting ties with the Istanbul-based ecclesiastical body. Mount Athos, which is inaccessible to women and some female animals, has become a popular pilgrimage site for Russian bureaucrats and businessmen under President Vladimir Putin. Russia has injected a reported $200m in funds to Athos since Putin’s first visit in 2005. Donors to the restoration of Russia’s St. Panteleimon Monastery there range from Prime Minister Dmitry Medvedev to Arkady Rotenberg, a businessman close to Putin, to Vladimir Yakunin, the former head of Russian Railways. Several monasteries at Athos are run by the local churches that make up Orthodoxy, including Russia and Serbia, although all the monasteries are formally under Constantinople’s jurisdiction. But the looming divide leaves Athos in limbo. A spokesman for the Moscow Patriarchate said that Russian pilgrims can no longer participate in services or sacraments there, in line with the Russian church’s announcement on 15 October that it is breaking communion with Constantinople. At least one prominent bureaucrat, Andrey Turchak, a leader of the pro-Kremlin United Russia political party, was visiting just before the ban hit but stopped posting about Athos on Instagram after it was announced.